First of all, I just want to express my excitement for finally getting an invite to receive my first VoxBox from Influenster!!! <==Yep!! Got this free from Influenster! 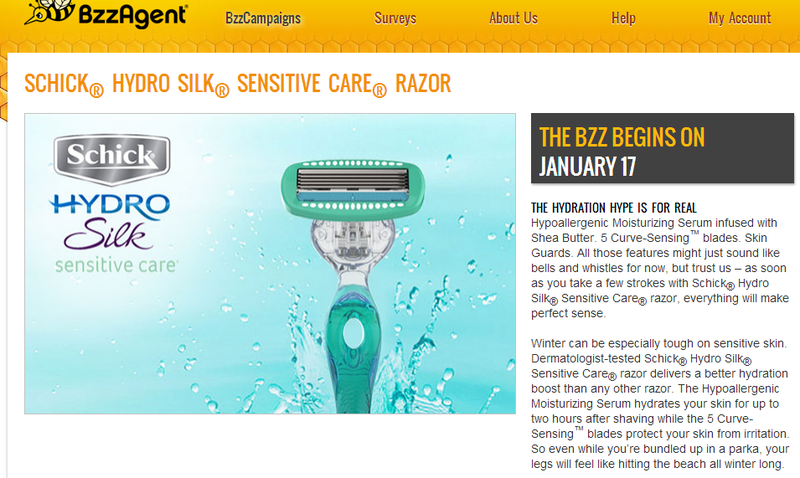 OK, take everything you already love about Venus razors. Great shave, nice blades, loads of options… Then miniaturize it and give it a little compact carrying case. Seriously–not much bigger than a compact, and just a bit wider, but hey, it’s got a razor in it!. So your regular Venus blades fit–which is great. Just go with your favorite, and pack it away. 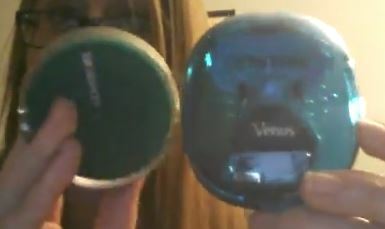 Why on earth do you need a purse razor? Why wouldn’t you?? I’m sure I’m not the only one who got somewhere and realized I missed a spot. Now, while no one has probably noticed, in my mind, I’ve still managed to blow it out of proportion. That bit of stubble is a meadow that’s never seen a mower, the whole world can see it, and EVERYONE is staring. Yeah, that’s when you need it. Or maybe you got invited to go do something that might mean baring some skin, and you might have been letting things go for a little longer than desired… Yep, definitely gonna be glad you had this packed away for just that occasion! OR, travel size! I know I hate packing my razor to go anywhere. I end up popping it in a ziplock bag, and that just doesn’t seem right. This comes with it’s own travel case, and packs itself. Great for anyone going on frequent trips! Perfect carry on size. So I started the word of mouth fun about 3 weeks ago, and it’s been surprisingly entertaining. For starters, I got the invite to the L’Oreal USA Product Testing Program. I signed up a week ago, and just got the invite to login. A few quick surveys about my hair, skin, makeup, nails, and now…wait. I also signed up for Swaggable, but outside of clicking that “I want” things, not really too much going on there…yet? SO, on to what I’ve ACTUALLY been up to! Bzzagent has been absolutely amazing. I’m on my first campaign for the Cottonelle®Toilet Paper together with Cottonelle® Fresh Care™Flushable Cleansing Cloths. I’m still filling this one out and taking my time finishing out the final parts of my activities–I’m thinking this weekend while I’m stuck at home (we’re in for a boatload more snow). 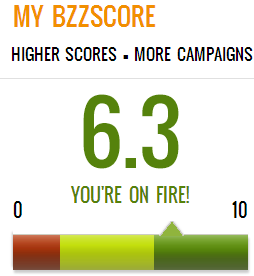 But the nice thing is, it bumped my score up a ton! I hovered around 3 out of 10 just completing surveys, now I’m up to 6.3– Green is such a nice color compared to red or even yellow! But scores are good–why? More campaigns. I’ve heard some poor reviews from people saying they never get campaigns, but guess what popped up in my email just a bit ago? Yep. That’s a new campaign! 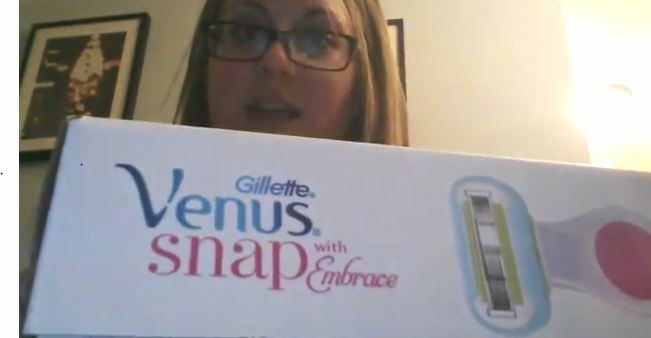 I swapped to the store brand version of the Gillette Venus something or other to save money, and they randomly decided to start swap it–so the new refillable blades don’t fit the old handle. Meaning, I had to buy a brand new one. So feeling a little slighted, I’m happy to try something new. Best thing is, they aren’t looking for canned “omg best product ever” responses. I gave real feedback, which wasn’t entirely positive, and didn’t give it a five star review–and got an achievement for an exceptional review. So don’t be afraid to say you didn’t enjoy the product if you didn’t! I already mentioned I got my first PINCHMe box, and I should get my second any day now. I’ll get photos on the next one–It was the first box, and I kinda just got a little too excited to remember…whoops. Anyway, I hope to reach level two by my third box–Which hopefully goes live this coming Tuesday (1/5/2014). Level two puts you in a monthly sweepstakes. Winning stuff is alright in my book! Bar soap, perfume, and nail files (with a really cute design). So that’s where the action is. Influenster: This one never seems to update. I keep checking, but some of my badges sit at zero. So a whole lot of nothing going on. I browse and do a review from time to time. CrowdTap: Still completing actions and challenges, but nothing new. I saw a few new products, so maybe I’ll get some more opportunities soon.